Conventional junction materials are prone to defects -- shown here as a break in the red-yellow line -- that limit the useful lifetime of a qubit state. An interdisciplinary research collaboration, centered at the University of Maryland (UMD) at College Park, has been awarded $2.8 million from the Intelligence Advanced Research Projects Activity (IARPA) through the Army Research Office (ARO) to devise, fabricate, study and test a new kind of key component for quantum computing. The scientists will work on novel methods of constructing the crucial, ultra-thin insulating barrier that lies between two superconductors to form a “Josephson junction.” A network of such junctions, employed as quantum bits, or “qubits,” is an extremely promising candidate to serve as a basis for a quantum computer that could solve certain kinds of problems exponentially faster than today’s best supercomputers. But the microscopic sheets of aluminum oxide currently used in the junctions’ insulating (“dielectric”) barriers characteristically contain tiny defects, or regions with unfortunate atomic arrangements, that prevent the qubits from remaining for long in a quantum “superposition” of multiple states at the same time. That condition, called “coherence,” is necessary during the computation time of the quantum computing algorithm. “Under the best conditions, we can’t get coherence times longer than a few microseconds, and in most cases the times are much shorter,” says JQI Fellow Christopher J. Lobb of the UMD Physics Department and Principal Investigator for the project. “That’s much too brief for a working computer. And it’s clear that the major problem is defects in the atomic configuration of the conventional barrier material. However, it may be possible to minimize structural defects in the junctions that are problematic – and thus dramatically increase the coherence time – by going beyondthe conventional thermal oxide used by today’s qubit research groups. “This proposal will allow us to carefully assemble the dielectric barriers one atomic layer at a time, and go beyond the conventional barriers that physicists have made previously,” says Lobb, who has three decades of physics research experience with superconducting qubits, Josephson junctions and sub-micrometer electronics. That technique, called atomic layer deposition (ALD) uses alternating cycles of reactive gases to achieve nanoscale conformal dielectric films and is now widely employed by Intel and other microelectronics companies. But it has not been applied to Josephson junctions. Co-Principal Investigator Gary Rubloff of the UMD Material Science and Engineering Department, an expert in ultraclean processing and ALD nanostructures, will grow junctions and perform surface analysis. The barriers will be grown as either the conventional oxide barriers or the new ALD dielectric barriers in a new system configured explicitly for this work. “We don’t know how much better ALD dielectrics will perform, but we will be able to compare both junction types from our customized deposition and analysis system to find out,” says Rubloff. Kevin Osborn, a collaborator at the Laboratory for Physical Sciences in College Park, MD, an expert in qubits and low-temperature measurements of dielectrics, will characterize the junctions at low temperature prior to incorporating them into qubits. 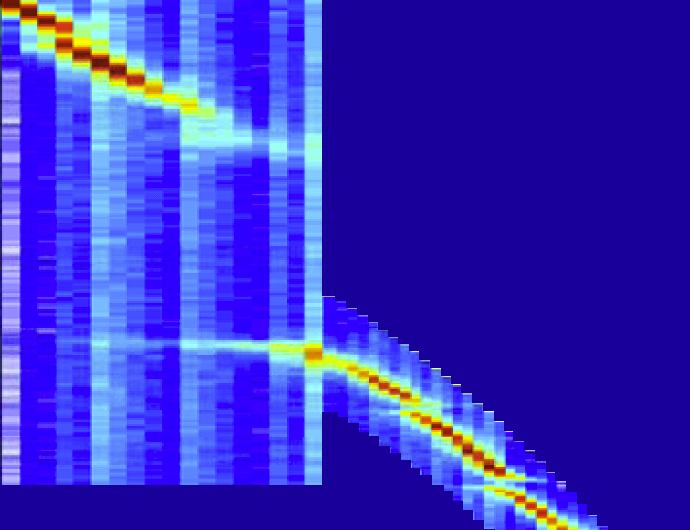 It turns out that these defects can move randomly, which lead to noise as well as poor coherence. “By attempting to improve superconducting qubits by more than an order of magnitude we are going to bring new understanding to universally-observed noise phenomena in superconducting devices”, says Osborn. Candidate defect structures and mechanisms will be studied by two theory groups. Co-PI Assoc. Prof. Charles Musgrave, of the Chemical and Biological Engineering department at the University of Colorado (CU) at Boulder, will simulate candidate defects using his expertise in atomic modeling calculations of metal-insulator interfaces. He will also be able to use input from surface data taken by Rubloff during the junction growth. Co-PI, JQI Fellow Victor Galitski of the UMD Physics Department, is an expert in superconductivity and defect models. He will produce a comprehensive theoretical analysis of how defects affect junctions, and will work with Musgrave to identify which simulated defects are likely to lower the coherence at low temperatures. UMD and CU will also be able to engage postdoctoral scientists and graduate students in the project over the five-year term of the award. This research will also leverage contributions from important research organizations centered at the University of Maryland, including JQI, the Laboratory for Physical Sciences, and the Maryland Nanocenter. The Laboratory for Physical Sciences (LPS) in College Park is a center for collaborative research between university and federal government scientists, which also supports the JQI. The laboratory currently houses research in quantum computing, nanotechnology, polymers, optics, wireless systems, magnetics, microelectronics integration, and molecular beam epitaxy. Osborn, who performs his research at LPS, also participates in the JQI, LPS quantum computing seminars, and the University Center for Nanophysics and Advanced Materials (CNAM), which supports developments in related condensed matter physics. The Maryland NanoCenter, directed by Rubloff, is a partnership among three UMD colleges: The A. James Clark School of Engineering, the College of Computer, Mathematical and Physical Sciences and the College of Chemical and Life Sciences. The Center promotes major nanoscience research and education initiatives, provides “one-stop shopping” for those seeking expertise and/or partnerships at Maryland, and supplies infrastructure to facilitate nanoscience activities at Maryland through equipment, staff support, and informational and administrative functions.